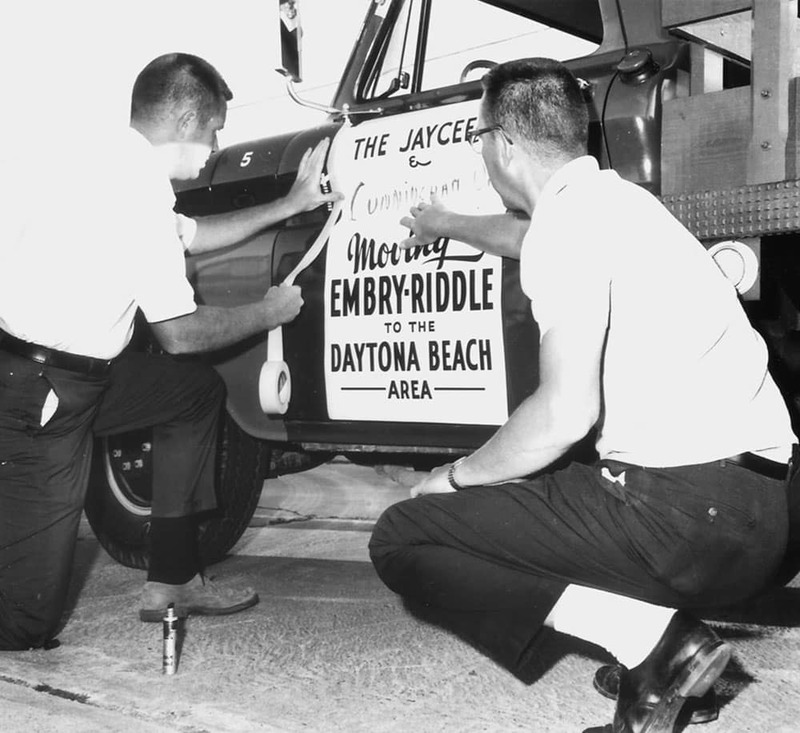 The Embry-Riddle Aeronautical University we know today is the product of a long and prestigious history. In 1925, barnstormer John Paul Riddle met entrepreneur T. Higbee Embry, and together, they formed the Embry-Riddle Company to teach the adventurous to fly. This partnership was the beginning of a vision that has produced more than 130,000 alumni who drive innovation and keep the aerospace and related industries running safely and productively. Read more about our storied past and ascendant future or search historical records in the digital repository. Embry-Riddle offers a first-rate education to recent high school graduates, working adults, active service members, veterans, classroom students, and online learners. Our campuses in Daytona Beach, Florida, and Prescott, Arizona, feature a traditional residential experience, complete with classrooms and labs, dorms and clubs, sporting events, and performances. Embry-Riddle Online and our Worldwide Campus feature state-of-the-art online technology that offers you the flexibility of learning whenever and wherever you want. 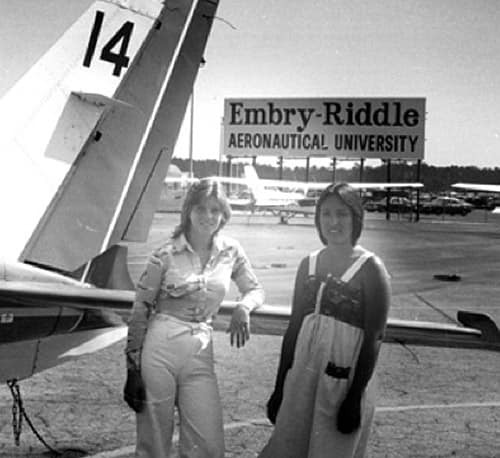 Here are some interesting facts and figures about Embry-Riddle. Our Florida residential campus is located less than four miles from world-famous, sandy white beaches and within a 90-minute drive to NASA’s Kennedy Space Center, historic St. Augustine, and iconic Disney World. Visit DaytonaBeach.erau.edu to learn more about the programs offered, student life, faculty, and facilities. The Worldwide Campus operates a globally recognized learning system that leverages online and face-to-face instruction and a network of education facilities designed to support student advancement in the U.S. and abroad. Embry-Riddle Online offers a long list of courses and degrees available completely online. Visit Worldwide.erau.edu to learn more about the programs offered, student life, faculty, and facilities. Our Arizona residential campus is absolutely breathtaking. Located in the Bradshaw Mountains, the campus is close to some of the country’s most inspiring and beautiful natural attractions, such as the Grand Canyon and the red rocks of Sedona. When they’re not enjoying this magnificent environment, our students often take day trips to Phoenix or weekend trips to Las Vegas. Visit Prescott.erau.edu to learn more about the programs offered, student life, faculty, and facilities. Our seven primary fields of study cover an array of aviation-related and non-aviation-related industries. At Embry-Riddle, our expert professors are leaders in the industry. They share the knowledge they’ve gained from decades of industry and higher-learning experience with our students to ensure graduates have a competitive edge in the workforce. Daytona Beach offers 20 varsity sports in the NCAA Division II, while Prescott features 13 varsity sports in NAIA athletics. Accolades in Daytona Beach include two national championships, 29 individual championships, 107 regular season conference championships, and 32 conference tournament titles. Prescott celebrates eight wrestling national championships, 24 California Pacific Conference championships, and has won the conference Commissioner’s Cup for the past four years. Dozens of intramural and club sports are offered at both campuses. Embry-Riddle Aeronautical University is committed to being a global leader in diversity and inclusion in higher education. We continually strive to recognize, respect, and celebrate the differences and cultural identities among individuals as we recruit, support, and embrace our diverse community. We work to provide a safe environment where self-expression is welcome. We aim to create a campus free of discrimination, so that networks, partnerships, and cultural competency are fostered through leadership, integrity, care, and respect. We are Embry-Riddle. Whichever campus or program you choose, you will meet lifelong friends in classes, dorms, and student organizations. Our graduates work for some of the world’s biggest companies, so the relationships you make on campus can continue throughout your career. When you earn your degree from Embry-Riddle, you become part of a network of more than 130,000 alumni who will support you throughout your working life. Once an Eagle, Forever an Eagle. Embry-Riddle gave me the flexibility to take classes at anytime, anywhere in the world. I was also motivated by the university's outstanding reputation and high-caliber professors. I came here because of soccer and ROTC and the GSIS degree because I want to be in the military. Embry-Riddle changed my life. I met Maggie (his wife); it gave me my commission in the Air Force and a foundation in disciplined flying. Everybody there was all about aviation. It made it clear to me that the passion around me was the passion I wanted.